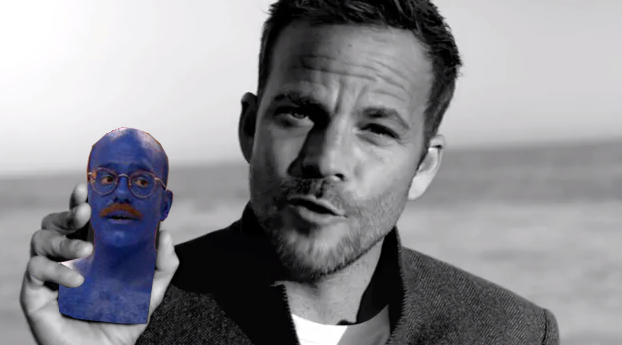 Sort of famous actor Stephen Dorff is now a shill for a brand of e-cigarettes that isn’t going to get any free advertising on this site. The use of electronic cigarettes is growing rapidly, not just among tobacco users seeking a smoke-free alternative, but also among those who’ve never smoked but still want to experience the effects of nicotine. Concerned about this relatively unregulated (at least compared to tobacco) market, the attorneys general of 37 states — plus AGs for Puerto Rico, Guam, and the U.S. Virgin Islands — have written to the FDA asking for more regulatory controls on the sale and marketing of e-cigarettes. With annual sales of e-cigarettes expected to hit $1.7 billion in 2013, the attorneys general believe it’s high time that these products are regulated similarly to cigarettes. “Unlike traditional tobacco products, there are no federal age restrictions that would prevent children from obtaining e-cigarettes, nor are there any advertising restrictions,” reads the letter [PDF], co-authored by Massachusetts AG Martha Coakley and Ohio AG Mike DeWine. The AGs are concerned about the recent increase in the number of prime-time TV ads for these products, not just because these commercials can reach an audience that tobacco ads can’t, but also because these spots don’t always market e-cigarettes as devices primarily intended to help quit smoking. “E-cigarettes contain fruit and candy flavors — such as cherry, chocolate, gummy bear, and bubble gum — that are appealing to youth,” continues the letter, which points out that the FDA has previously banned such flavors from being used in traditional cigarettes. The AGs also take issue with some manufacturers’ use of cartoon characters in their marketing; another practice that’s a no-no for tobacco. The letter cites data from a Centers for Disease Control survey which found that e-cig use among students doubled between 2011 and 2012, and that 1-in-10 high schoolers said they had tried an e-cigarette in 2012. In a statement to the AP, a rep for the Tobacco Vapor Electronic Cigarette Association (which is a real thing and not a made-up title from some bad futurist novel), says the industry welcomes regulation, including a ban on sales to minors. “What I cringe at is when e-cigarettes get demonized,” says the rep.
Below is the list of AGs who signed on to the letter. The shorter list is those states that are not part of the request to the FDA: Alabama, Florida, Georgia, South Carolina, Virginia, Wisconsin, Kansas, North Dakota, West Virginia, New Jersey, Texas, Oklahoma, Nebraska.